I’m really sorry for lagging on these updates. Life has been throwing curveballs ever since I got back from Aspen; I wasn’t even able to watch all the replays before ESPN took them down. In any case, Friday was the most jam-packed day so I hope to be back to posting more regularly. The bummer about seeing Slopestyle in person is that you only get a view of the money booter, and if you’re not press or VIP, you’re way in the back. Also annoying kids on the ski lift above us liked to purposely shake snow off their boards onto our heads. Despite this, I enjoyed the atmosphere. Everyone rode well. Hayley Langland’s rail game was on point. Spencer O’Brien got a well-deserved gold. Later in the afternoon, I wound up meeting Christy Prior at the Lifeproof booth, and she said it was a really great day to ride. I won’t be doing another post until I get back, but I might just do some quick and dirty updates on my Tumblr or Twitter, depending on the internet situation. 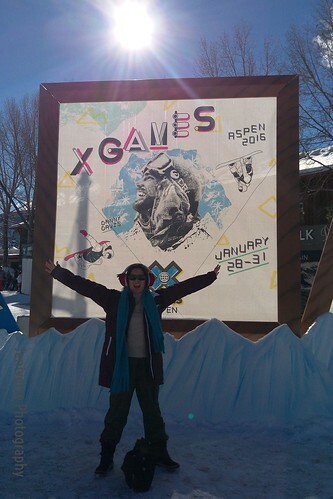 X Games Aspen 2015 has been quite the game changer—for both action sports and for me personally. I decided to immerse myself in the social media experience and as a result, had the time of my life. It’s really unbelievable how much social media has changed the X Games experience. It allows us to connect to fellow fans from all around the world, staff who can give us a behind-the-scenes peek, and even the athletes. When this year’s competitors weren’t busy Instagramming and Tweeting, they participated in some of the most intense battles for first, resulting in a lot of progression and the changing of guards. Best Female Athlete – Chloe Kim (Snowboard) Despite some criticism for having to be reminded to grab (let’s just hope she was just nervous), Chloe Kim killed it in the SuperPipe. She had a natural flow, and she proved to be the toughest high school freshman, winning gold after chipping her tooth in a gnarly crash during practice. As I posted on Twitter, Danny Davis had so much style that even my mom knew he should be in first. He never lost his cool, throwing down the top-qualifying run at the end of eliminations and edging out a high-flying Taku Hiraoka on his final run. Taking bronze your first X Games is quite the feat. Christy Prior had the technical skills and the style to make her Women’s Snowboard Slopestyle one to remember. She is definitely here to stay. The gorgeous sight of the sun disappearing behind the mountains provided a dramatic backdrop of this competition, where the men kept going bigger and harder. It was cool to see the progression and the emotions, and everybody was on edge over which country would rise to the top (U.S., Canada, or France) until the very end. Amidst the buzz of Big Air and Spencer O’Brien’s 900, Sage Kotsenberg slipping a new trick with a lot of his signature flair. He didn’t get nearly enough recognition for innovation so I’m giving it to him here. Picture Perfect Moment – Yiwei Zhang shoots for the crescent moon. 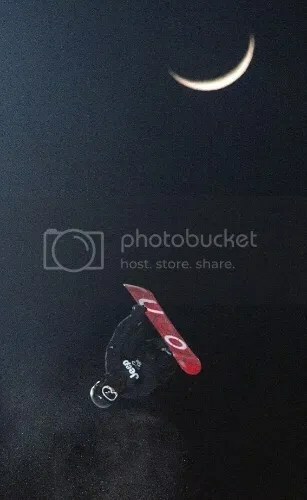 The juxtaposition of the moon and Yiwei Zhang in the Men’s Snowboard SuperPipe elimination gives the shot an out-of-this-world quality. The spray of snow in the corner is the perfect embellishment, as it is reminiscent of smoke coming from a rocket. Okay, I may be a little biased since I had the once-in-a-lifetime opportunity to ask Chloe Kim a question on the show (and chat about my dad’s office decor with Jack Mitrani off-air). 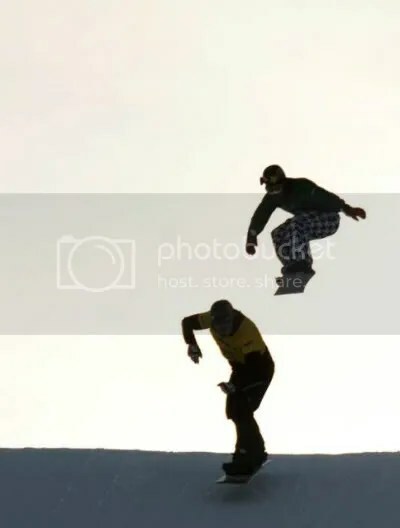 However, snowboarding fans have long known that Jack and Craig McMorris are a winning duo, and it’s great that X Games has brought them on to show the fun side of the event. Finally, a use for drones that doesn’t make people cringe! They’re bringing in a new perspective on the competition, and it will be interesting to see how they change action sports photography. 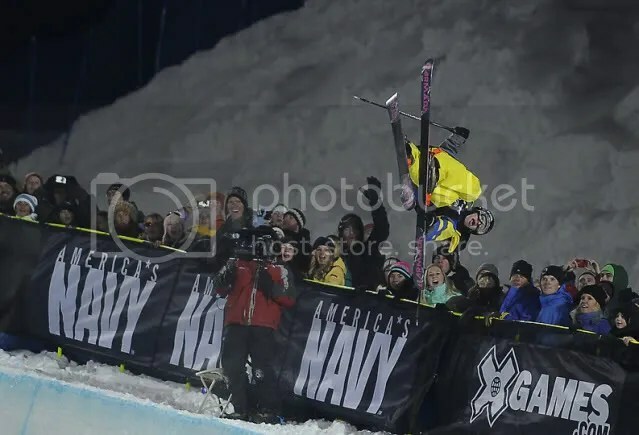 After not qualifying for the finals, Nick Goepper could have thrown in the towel. However, he got in as a last minute replacement and brought his A game. Sure his victory might have resulted from some good fortune, but it was mostly skill and level head. Fifty three-year-old Chris Devlin-Young proved that one should never let age or disability get in the way of the gold. He won the first Mono Skier X gold and still has the skill to dominate the races. Freeskiing would not be where it is without Simon Dumont. He’s had his ups and down at Winter X, but he always puts on a good show and tries to push the sport. He could’ve bowed out with the hard slam he took (especially already being injured), but he still gave fans one final show. I’m bummed that there are still pronunciation issues and name inaccuracies, but hopefully that will improve with him. However, I had a blast dedicating my weekend to the X Games.I wound up only getting four of my predictions for gold right, but I enjoyed the surprises. Congratulations to all the winners and mad props to those who got back up after a hard slam to medal. I also want to wish a speedy recovery to the less lucky ones: Henrik Harlaut, Levi LaValle, Alex Beaulieu-Marchand, and Mike Schultz. I had another post to write, but with the X Games kicking off tomorrow, I wanted to make predictions for some of the events. It’s too fun to not do it. I’m also doing Fantasy Freeride League again (click here – it’s not too late to join). Could Winter X been any more dramatic this year? As the final ski and snowboard event before the Olympics, there was a lot of anticipating, predicting, and wondering. While the favorites tried to stake a claim on the gold, the underdogs and those who would have to wait another four years grabbed the opportunity to showcase their talent. There was Shaun White’s “will he or won’t he” question of attendance and an on-line debate over spins versus style. Above all, in a sport that probably will never see the Olympics, one man turned tragedy into triumph in a celebration of brotherly love, going big, and following your passion. 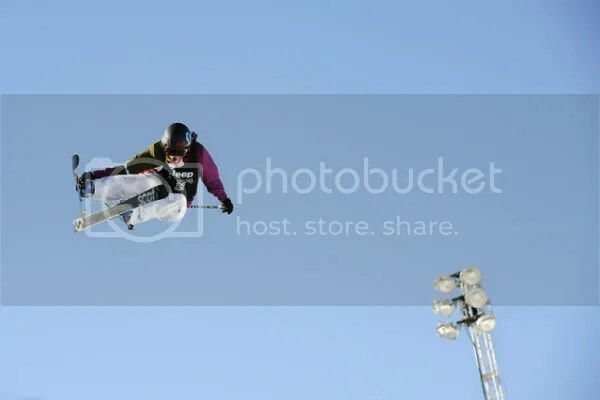 Although Kelly Clark deserves all the acclaim for being the winningest female athlete in the X Games, we cannot forget about Lindsey Jacobellis, who is now the female athlete with the most gold. Her smart riding and consistency allowed her to obtain her eighth one in the Snowboard X finals and dominate the field, Olympics be damned. Speaking of dominance, no man has seven-peated at X until Tucker Hibbert crossed the SnoCross finish line. He also has the most National wins so this really isn’t a surprise. His hard work and discipline is as much to credit as his talent. You know an athlete is awesome when the only thing keeping her from the Olympics is her age. Forget the Shaun White and Ayumu Hirano comparisons; Chloe Kim made a name for herself in the Women’s Superpipe with her high-flying, easy-going style. The future of women’s snowboarding has arrived! The Men’s Ski Slopestyle finals had so many moments to remember: Andreas Hatveit’s X Games swang song, the first triple cork in an X Games ski slopestyle contest, and the first repeat winner in ten years. On top of that, we had an excellent mix of style and spins, as well as proof by Nick Goepper that if at first you don’t succeed, do it better on your next run. In an era where most riders spin to win, Danny Davis aired out a a huge switch method in the Men’s Superpipe finals. While it might not look as fancy, the technical skill it required, along with the opportunity for self-expression, was exactly what propelled him to the top and what snowboarding needs to not forget. Picture Perfect Moment – Mark McMorris receives his slopestyle silver medal from his mom. Technically this is a video, and it’s not pro quality. However, the moment is too adorable to not recognize. Plus it’s nice to see Mark McMorris in good spirits after his gnarly crash. Style versus math—what should count more? When Halldor Helgason threw down a sick method, he made a statement and got people talking. Add in some damning Tweets from pioneers like Pat Moore and Todd Richards, and it was clear that snowboarding is in need of some self-reflection and possibly a revolution (no pun intended). Big Air competitors are expected to wipe a lot. Jossi Wells seemed to be immune to that, thanks to quick thinking and physics. The minute he knew the trick wasn’t going to work, he stretched out his arms and legs to slow down. The increased air resistance bought him time to right himself and ski away. Just four months after ACL surgery that involved a new technique, Kaya Turski came back to show why she is the top Women’s Ski Slopestyle competitor. Her competitors, Maggie Voisin in particular, did not make it easy, but her mastery of the rails put her ahead of the back and on the road to Sochi gold. There was no a dry eye watching the Freestyle Snowmobile finals. Colten Moore didn’t just come back from separating his pelvis; he returned after losing his brother in the same contest last year. Some would walk away or at least take more time to recuperate physically and mentally, but Colten gave the ride of his life. Regardless of your personal faith, it was obvious that Caleb was right there by his side. Gretchen Bleiler has been one of the most influential female snowboarders. She’s the first woman to land a Crippler 540 and the first female action sports athlete to appear on the cover of the ESPN the Magazine. Her visibility and enthusiasm helped the ladies of Superpipe get noticed, and her comeback from a horrifying eye injury is nothing short of miraculous. Even though she won’t be on the X Games leaderboard, Gretchen’s influence will undoubtedly still be felt. Usually thinking about the X Games a week later brings back fond memories and inspirational moments. Although we still have that, the mood is clouded by sad news. Snowmobile and ATV rider Caleb Moore has died. The world of action sports will miss him, and the X Games may not be the same. I debated whether I should continue with my usual wrap-up of the best moments. The answer is yes. Caleb was doing what he loved, and let’s celebrate his life and accomplishments, along with all the others at the X Games. This is her tenth X Games appearance, and look at how far she has come. 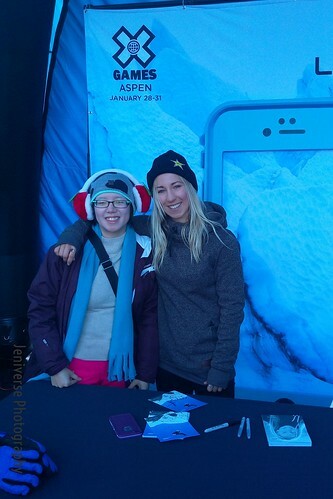 From racing Boarder X with her sister to getting back-to-back golds in Slopestyle, Jamie is just unstoppable. Whatever sort of zen she reaches while hugging trees is evident on the course with her smooth riding and flawless tricks. Henrik not only stomps his first triple cork, but he nose butters it. Those little touches of style is what makes a stand-out athlete and why he medaled in both Big Air and Slopestyle. Best of all though is his giant smile. This guys is out there having a good time, and that is how things should be. I’ve said a lot about him already, and the clip below does a good job of highlighting his amazing skills. If you didn’t know who he was at the beginning of the SuperPipe finals, you definitely knew him afterward. It’s easy to get tired of the spinning, but when you think about what switch means (the analogy X Games commentators love to use is throwing a fastball with your non-dominant hand), you have to be impressed by the skills and the balls it takes to pull a trick like Torstein’s. 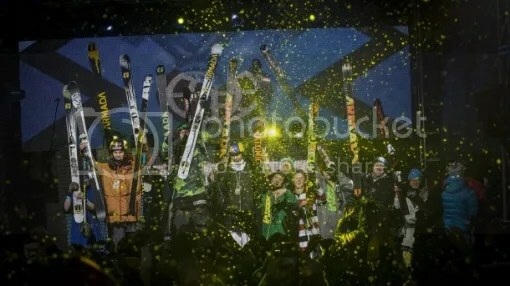 Picture Perfect Moment – Ski Big Air podium is filled with friends. This photo sums up the camaraderie that happens within action sports. When one person wins, everyone wins. At first, I was wondering why was this even an article, but the story behind why he wound up at Uncle Jack’s Parlor is really amusing. His crew member’s buzzcut is too. Freeskiing has progressed so quickly that I had to start doing math again to keep up with the tricks. Alex Schlopy’s 1980 attempt required him to do a whopping five and a half rotations (which he completed but did not land). For the past two years, we’ve seen (or rather heard) Levi in the booth, but he has returned to the sled in good form. He took home two golds (Freestyle and Speed and Style) and was going to enter the two more snowmobile events before tearing a muscle in his back. Nonetheless, he is back in action! I’m a firm believer that girls can do anything the guys can, and Elena proved that to be true by stomping the trick that has eluded Shaun White, a double backside alley-oop rodeo. This wasn’t the first time she’s done something major: she was the first woman to do a 900 at just the age of 13. On top of going big, she promotes eco-friendly style with Repreve and is on the Boarding for Breast Cancer Team. She’s an excellent role model for both young women and men. Even though this was only his third X Games, Caleb and his brother Colten have done so much for freestyle snowmobiling. No one thought these ATV riders from Texas would place very high, but they have proven to be both skilled and memorable. Caleb’s tricks were always impressive (check out his rock solid in the footage below), and he was working hard to get a gold. He embodied the determination and joy that is a part of the action sports lifestyle. Ride on, Caleb. It’s that time of the year again. I would’ve been caught off-guard had the date for X Games Aspen been marked on my Fantasy Freeride League calendar (it’s been a busy month, and sadly, I’m missing all of Day One). Here are my predictions for some of the events. Don’t forget to vote for the Real Snow winner. You have until Sunday. The X Games were over too quickly. My mind could barely process the amazing feats that happened in the course of four days. I was sad to not see Snocross on the schedule, but I was stoked that ABC picked up a portion of the broadcast (it’s tough to watch everything on a laptop screen). Anyway, here are my awards for stand-out performances and memorable moments. Everyone did so well that I struggled to narrow down my candidates for the best athlete categories. Kelly Clark’s comp history is ridiculous, and now she has added a fourth Winter X gold and a thirteenth consecutive win. She also throws down the 1080 like it’s not big deal (when she’s the only woman doing them). Although Mark McMorris’ double gold and triple cork was overshadowed by Shaun White’s perfect score, he established himself as one of the best slopestyle riders… in his second Winter X Games. Something else worth noting: Shaun was the last person to win two Winter X Games events in the same year (2009). Last year, Torin Yater-Wallace came out of nowhere to challenge the top competitors in Ski SuperPipe. Now it was Slopestyle’s turn to introduce a mega-talented rookie. Seventeen-year-old Nick Goepper unexpectedly took the top spot in qualifiers and held onto it in the finals until Tom Wallisch’s second run. Also known as the “Triple Party!! !” The question of who will attempt the triple cork first was answered by the first person to ever do one, Torstein Horgmo. Then Mark McMorris and Sebstain Toutant stepped up to the plate, and with each attempt, the riders got closer and closer to landing the elusive trick. 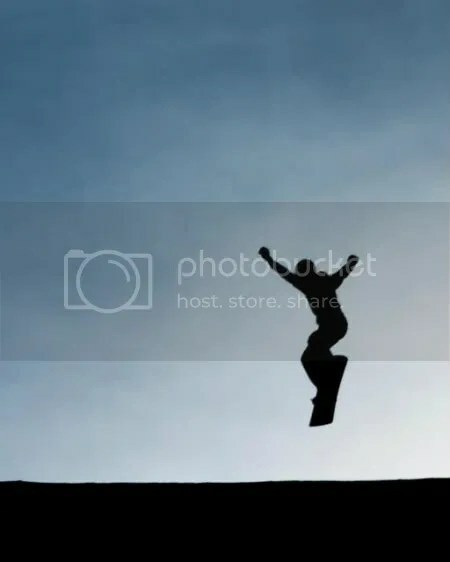 Finally, as the clock wound down, Mark landed the first triple cork 1440 in competition, and on his last run, Torstein improved upon it and scored a perfect 50. Progression happened before our eyes. 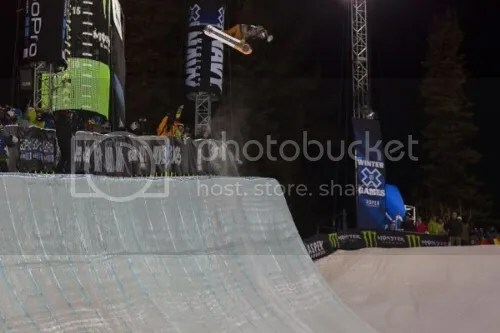 Heath Frisby made the front flip look so easy that I had to take a second to think about what happened: a man made a 500-pound machine somersault forwards off a ramp. This kind of stuff only ought to happen in comic books, yet Heath proved that it was possible in real life. This shot reminds me of the phrase from ABC sports, “the thrill of victory”. Dominique’s silhouette is beautiful against the blue sky, and the shot embodies the moment of glory. Although the vigil was a moment of sadness, it was also a moment of great beauty. It reminded us that that the X Games are not about who has the most gold medals or whether snowboarding or skiing is cooler; it’s about community and living life to the fullest. I’ve been told that snowboarding “looks like a bunch of spins”, and that’s not far from the truth. What determines the crème de la crème are the little details that go with the spins. Double corks are a big deal so I appreciate the fact that Keir Dillon mentioned frontsides and Cabs were more difficult than backsides. It’s nice to know what the judges are looking for. After seeing Shaun’s SuperPipe runs, I have a hard time believing that he had a sprained ankle. To go from having to pull out of Slopestyle to getting a perfect score in a couple days must be the greatest comeback ever. The entire 4 days of competition was held in Sarah’s honor, as the Winter X Games would not be what it is today without her contributions. 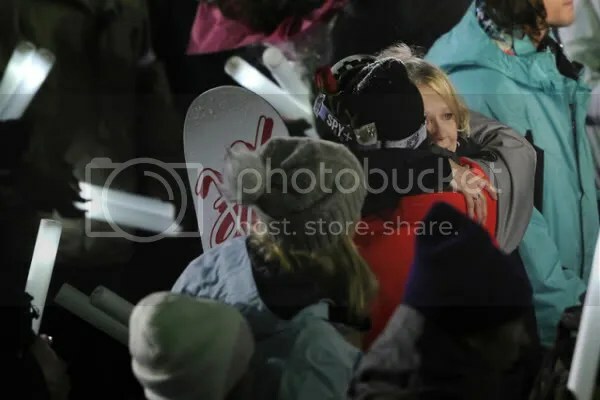 Several gold medalists dedicated their wins to her, and in the Women’s Ski SuperPipe, we saw the legacy she left behind. Though saddened by her untimely death, many competitors remembered her love of life and celebrated it through their sports. This was Casey Puckett’s last professional race, and after ten X Games and five Olympics, it would be be an understatement to say that he has had an impressive 22-year career. After retiring from alpine skiing, he began a skicross career. He’s one of four individuals to have two golds in Men’s Skier X, and he finished fifth this year after only a “handful” of days skiing. While youth may reign at Winter X , we must never underestimate the power of the veterans or forget their achievements. Casey, it’s been a pleasure watching you race all these years. I’ve been ill the past couple of days so the last of my notes is coming to you rather late. As a result of the tardiness and prior commitments keeping me from watching half of the weekend action, I decided to combine my notes. A lot of exciting stuff happened so this is kind of a long one (the videos are worth it though). The SuperPipe ladies definitely made Sarah Burke proud. Brita Sigourney nailed the first 1080, a trick first done by Sarah, in pipe competition on her last run. Sarah’s friend/teammate Roz Groenwoud captured the win with a record-breaking 93.66. The men’s final was extra tense with a lot of the favorites off their game. The “unforgiving” pipe saw many hard slams: one slip-up and you were done. Noah Bowman is a guy to watch for in the future. He was a second alternate who made it into the finals and was the only person doing a double flatspin alley-oop 900. Torin Yater-Wallace does an alley-oop 360 to set up for a double cork. David Wise was on fire during the entire X Games. He had the most technically difficult start with a switch double cork 1080. Those who tuned in on ABC were met with the scary aftermath of Justin Dorey’s slam onto solid ice. He was able to walk off but wound up dislocating his shoulder. Mike Riddle had an unfortunate accident: he grabbed too hard on his ski and pulled it right off as he was spinning. Three was supposed to be Kevin Rolland’s lucky number, as he was looking for his three-peat. He also wore #333 and had three double corks in the bag. However, he wound up being about three inches off his line in his third run, which led to a crash and no medal. 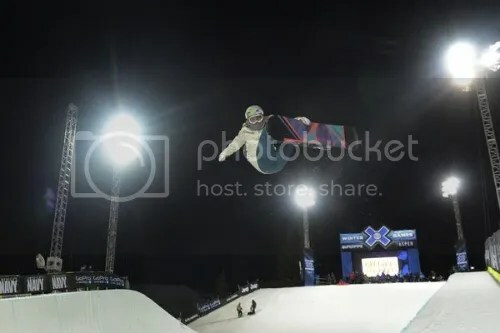 The Sport Science feature on the properties of snow gave audiences an idea of how making Ski Superpipe in the daytime and Snowboard Slopestyle at night would affect athletes’ performances. There was apparently some controversy with Women’s Skier X. Langely McNeal got disqualified from the finals after the French team complained about the band and hair tie she wore around her right leg. The International Ski Federation has strict rules about aerodynamic clothing in skicross, but X Games isn’t governed by the FIS. What I find ironic is that the French were known for wearing tight ski suit-like outfits while the other skicross competitors wore baggier clothes. Your vote did count for Real Snow Fan Favorite. Louis Paradis beat Halldór Helgason by just 32 votes (it was exactly 50-50 when I voted). Dominique Maltais had been the one to watch during Women’s Boarder X qualifiers, and she came out on top. Nate Holland said that there’s only a one-year lease on the gold. Men’s Boarder X had a dramatic finish with leaders Stian Sivertzen and Pierre Vaultier crashing into each other on the second to last turn. This allowed the Americans (Nate, Nick Baumgartner, and Jayson Hale) to sweep the podium. Shaun White dropped out of Slopestyle due to a sprained ankle, but nothing could stop him in SuperPipe. One of the advantages Shaun has is his skateboarding background. Snowboarders have two edges to land on whereas skateboarders have to land exactly on their wheels. As a result, Shaun is able to stick his runs very smoothly. I still like to think that his pants were key. The SuperPipe finalists had to take an all-or-nothing approach to their most difficult and unique tricks to even hope to win: Iouri Podladtchikov’s switch double McTwist 1260 – didn’t happen and settled for silver. Greg Bretz’s double Michaelchuk – crashed. Matt Ladley’s double McTwist 1260 – crashed. Ryo Aono’s backside 1080 – stomped and bumped him up to third. Not to be outdone, Shaun had a trick of his own to go for: the frontside doublecork 1260. He landed it on this third run, which scored him a 100 and was also supposed to be his victory lap. I don’t think I’ve been so nervous watching the X Games since the 2006 Summer X Games where Travis Pastrana did the double back flip. It was rather apropos with Justin Hoyer attempting the double and Heath Frisby trying the front flip. I don’t know who’s crazier. According to Levi Lavalle, who attempted the double back flip in 2009, you only have three seconds to spot the landing. Justin under-rotated, and everyone’s worst nightmare came true. Luckily he was conscious and moving. I really have to commend Heath’s nerves of steel because he was right after Justin, and he committed all the way. He made the front flip look easy, but when you think about what the sled is doing, it blows your mind. The trick to landing a front flip is to go faster (40 mph vs. 35 mph) and make sure you don’t land on the tail of the snowmobile. Joe Parsons was so stoked for his good buddy nailing the front flip that he almost forgot that he was up next. When you can’t compete with a crazy trick, you can do one of two things: play to the crowd like the Moore brothers or kick it old school with a whip like Corey Davis. Question of the Day: Had Justin landed the double back flip, who do you think would have won? Friday was mostly a snowboarding day, and it got increasingly exciting as day turned into night (which meant my notes became more illegible). I wrote down so much stuff that I had to cut back, but here’s the good stuff. I’m still reeling from the insanity that went down. Like last year, SuperPipe elimination was very intense with the big names wiping out on their first runs (they only get two). David Wise’s corked 12 was so fast and smooth. He only did one double, but his run was technical enough to score high. It’s not always about the double cork. Simon Dumont has been off his game. He was deeply affected by Sarah Burke’s death and even said that he wasn’t sure he would be able to ski at Winter X. Second runs were make-it-or-break-it time for Simon, Torin Yater-Wallace (who had barely qualified), and Kevin Rolland. All three delivered albeit in a safe manner. Kevin’s mom is definitely his biggest fan. She even took a kid’s horn to make noise for him. Cheryl Maas and her wife Stine Brun Kjeldaas, also a talented snowboarder, recently welcomed a baby girl into their family. I wonder if she’ll follow in her mothers’ footsteps. Cheryl has a Tumblr that you can follow. The slopestyle course is tough. The jumps are so close together that one slip up and you land wrong. That puts you a few inches off your line, and it’s enough to end your run. Spencer O’Brien provided another example of why it’s important to know how to fall correctly. She came up super short (on the top of the jump pretty much) and tried to take the impact across her entire body. It’s been 10 years since Kelly Clark won Olympic gold and her first Winter X gold. The SuperPipe ladies had some interesting fashion choices: Elena Hight’s hot pink jacket practically glowed on my computer screen, and Maddy Schaffrick painted her face to look like a cheetah’s. I Tweeted to the X Games a correction on Xuetong Cai’s name. They thought Xuetong was her last name because she’s often called “Cai Xuetong” which is the Chinese way of saying her name. Maddy almost put down a Haakon flip (an inverted Cab 720), which might be the first for a female snowboarder in competition. Torah Bright looked a bit rusty. She’s been away from halfpipe competitions for over a year. The key to winning Women’s SuperPipe, according to Keir Dillon, is “explosiveness”. The riders need momentum, amplitude, and tricks that will blow the judges’ minds. No birthday gold for Hannah Teter, but a bronze medal is a pretty good present. Kelly is so awesome that she throws the 1080 in the middle of her run. She has now won the last 13 contests she has entered, and she’s the first to get back-to-back gold in Women’s Snowboard SuperPipe. At Big Air qualifiers, there were whispers of who was going to pull the triple cork. Even with all the hype, the guys could still find time to goof off in practice. You can check out Torstein Horgmo and Mark McMorris playing a snowboarder’s variation of HORSE on Torstein’s website. It would’ve been interesting to see Halldor Helgason get into the finals and pull a chick wing double backside rodeo. That might be a contender with the triple cork. Keir was a great announcer, explaining to people at home double cork variations. Frontside is more difficult than backside double corks because you come in blind. A switch frontside, a.k.a. Cab, double cork is the hardest because you’re also coming in with the opposite foot forward. I’m thinking I need to do a post about snowboarding terms because it’s full of intricate details. Sebastien Toutant lands his double corks so smoothly that they look easy. With nine minutes left on the finals, it became a triple cork party between the three guys who have pulled one: Torstein, Mark, and Seb Toots. Torstein threw down the gauntlet. Mark answered it by landing with a hand drag. Then on his last jump, Torstein steps it up by sticking it perfectly. It was a beautiful display of one-up manship that was about progression rather than competition (since the score is based on two jumps, Torstein could have done a “safe” trick to get a decent first score and then attempted the triple, but that isn’t his style). To give you an idea of how tough the competition was, Torstein had a perfect score (50), and it wasn’t enough to beat Mark (whose triple got a 49). We had a three-way tie for second between Torstein, Seb Toots, and Eric Willet. It was broken by looking at the riders’ highest score. Congratulations to Day 2 winners: Jamie Anderson (Women’s Snowboard Slopestyle), Kelly Clark (Women’s Snowboard SuperPipe), and Mark McMorris (Snowboard Big Air)! Trick of the Day: TRIPLE CORK!!! Question of the Day: What do you think of the Big Air judging system?